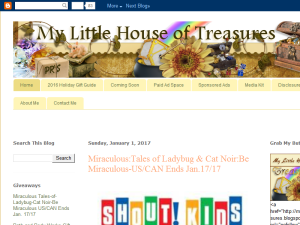 Blog Discription: I am Darlene and the owner of My Little House Of Treasures. I live in Ontario, Canada and am married with three sons, 6 grandsons and one granddaughter. I am a hairstylist by trade but am now retired. I love to knit and crochet and do a lot of both. I am a manager with Watkins products and have been with Watkins for 16 years now. Love my home business.